Expanded: diameter 275 mm, depth 100 mm. 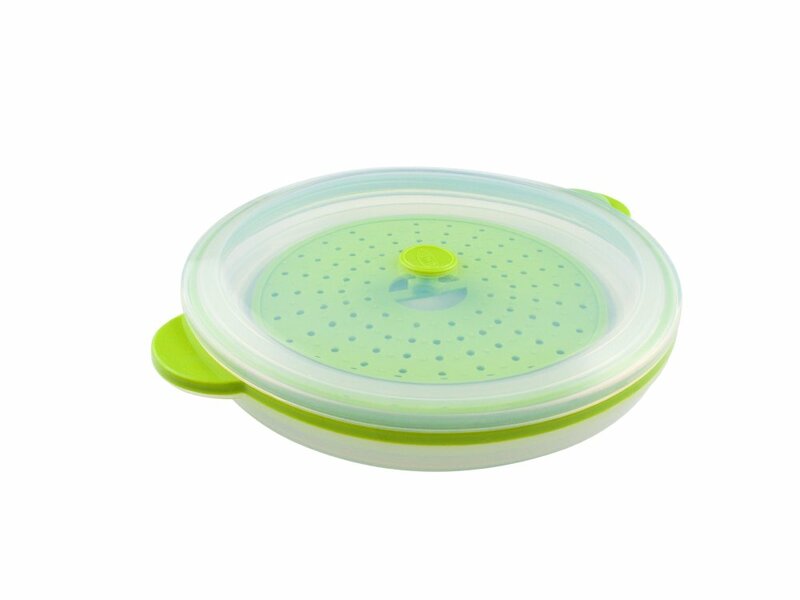 A collapsible silicone food storage container that can steam or cook food to perfection. 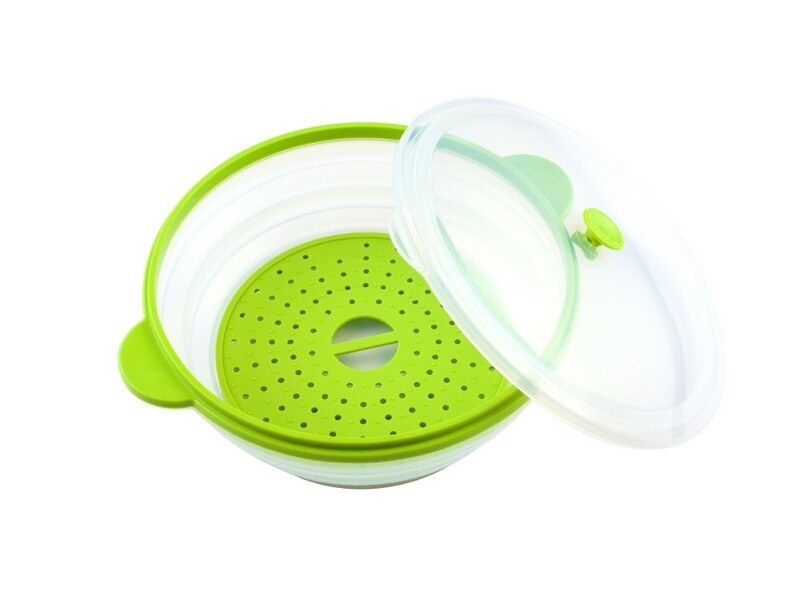 Oven safe (Up to 230°C), Microwave Safe, Freezer Safe and Dishwasher Safe.